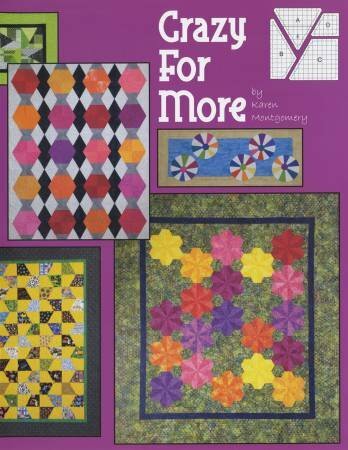 Venture into Karen Montgomery's scrap crazy world with this, her second scrap crazy quilt book. She shows you how to manage your scraps to make beautiful designs for table runners and quilts using her scrap crazy ruler (shown above). 9 different projects are included in this book.